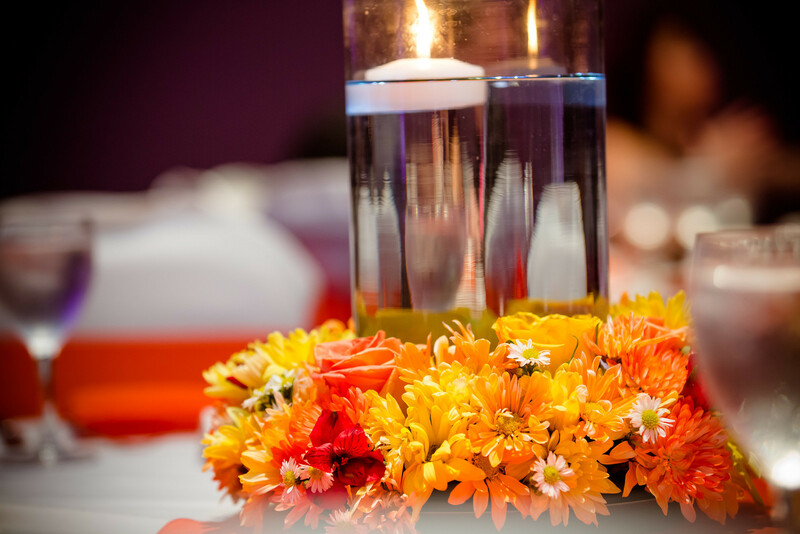 Whether you’re planning a wedding reception for 300 or a business meeting for 30, we offer full-service catering and event planning assistance at this wonderful facility. The Grand Ballroom at the Sunrise Civic Center is complete with full furnishings and equipment and features premium indoor and outdoor event space available for reservation. 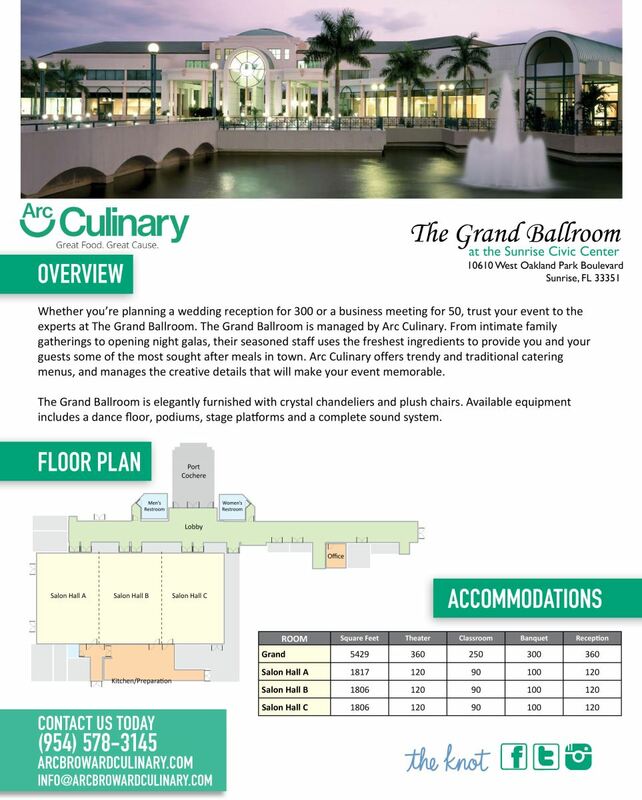 Arc Culinary is the official caterer of The Grand Ballroom at the Sunrise Civic Center, which is located at 10610 West Oakland Park Blvd., Sunrise, Florida 33351. For photos of weddings at The Grand Ballroom, visit us on The Knot by clicking here. To view a map of The Grand Ballroom and the surrounding Sunrise Civic Center grounds, click here.